Once again ‘the Internet’ proves the adage that whatever you can think of already exists one Google-search away. 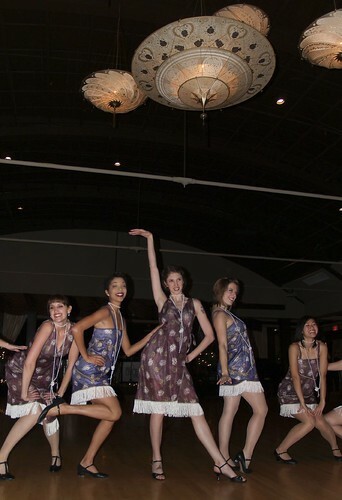 So I should not be surprised to learn (although I am) that an all-female Toronto dance company—known as The Flappettes—specialises in keeping the Jazz Age flapper stylings of our great-grandparents alive. Flappettes, originally uploaded by luluhop. P1030540-USM, originally uploaded by Salsavaders. P1030539-USM, originally uploaded by Salsavaders. P1030541-USM, originally uploaded by Salsavaders.